EDUCATION minister Katrina Hanse-Himarwa is still insisting that the Anti-Corruption Commission is on a mission to tarnish her good name by ‘carrying out a concerted investigation that would ensure that witnesses’ evidence incriminates her’. 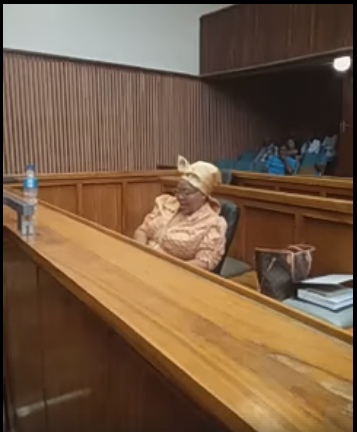 These were her Lawyer, Sisa Namandje’s sentiments in cross-examining a state witness, Community Development Officer, Domingu Mathews from the Mariental Municipality. Namandje put it to the witness that he was part of a cover of other irregularities and actively trying to incriminate the minister, whose criminal charges emanate from the time she was Hardap Regional Governor. 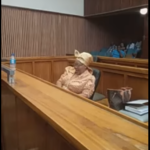 Hanse Himarwa stands accused of removing two names from the mass housing list and replacing them with the names of her sister in-law and that of her niece. Namandje was basing his accusations on the witness statements which, according to him were written by investigators and only presented to witnesses to sign off. He stated that the ages of different witnesses appeared to be the same, with the same paragraph structures, he said. “I find it rather strange that that the previous witnesses’ ages and beginning of the first sentences are similar to yours. This is a copycat statement of the other statements, with strikingly similar allegations from other witnesses. This statement was prepared for you and you just signed it,” Namandje argued. Mathews however brushed off the claims, saying that although the statement appears to have been signed off in Windhoek, he had signed it in Mariental and had no idea why the investigator could have missed that. The trial is continuing before Judge Christie Liebenberg, with State Advocate Ed Marondedze appearing for the state. The minister is free on a warning.